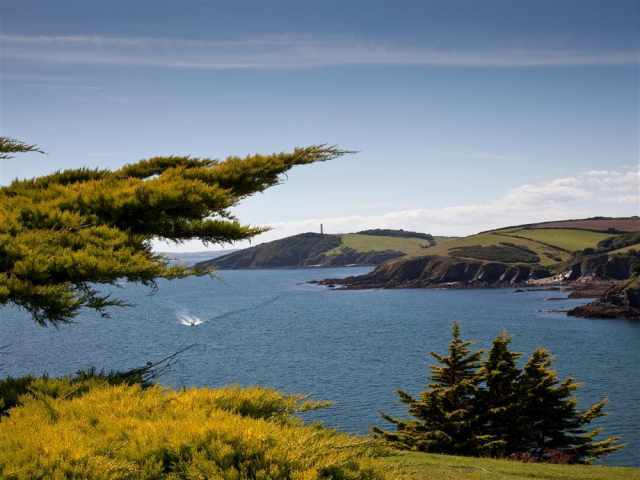 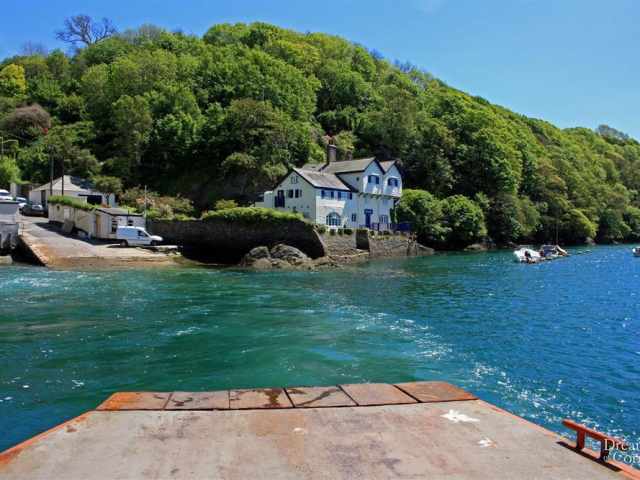 Pont House, with its own boathouse and secluded gardens, is situated in an elevated and sunny position, overlooking Pont Pill and benefitting from biomass heating. 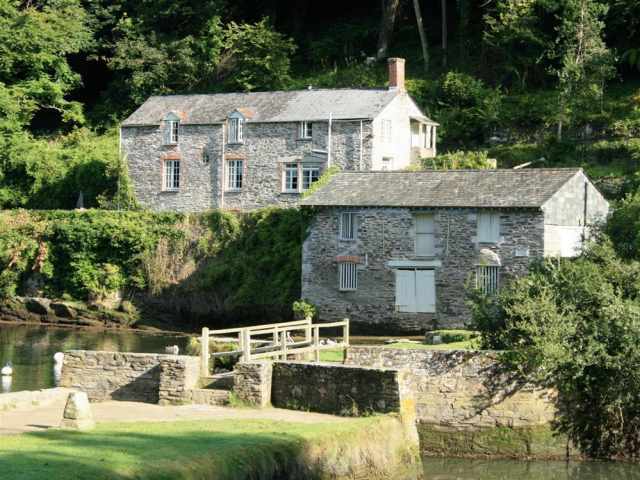 Both house and gardens have magnificent views of the tidal creek. 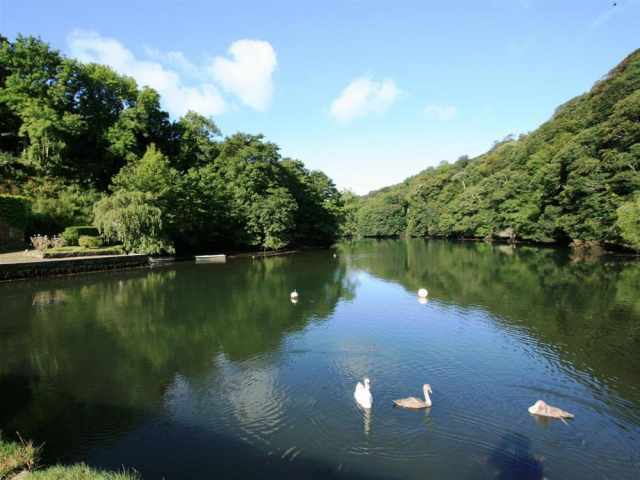 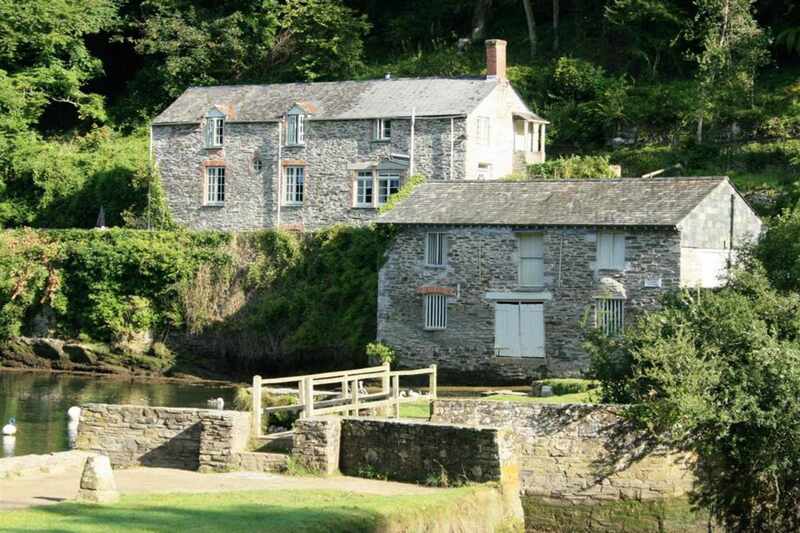 There is a seasonal shop at Penmarlam campsite 1 mile away and both Bodinnick and Polruan, which are in easy walking distance, have popular Inns providing good pub food. 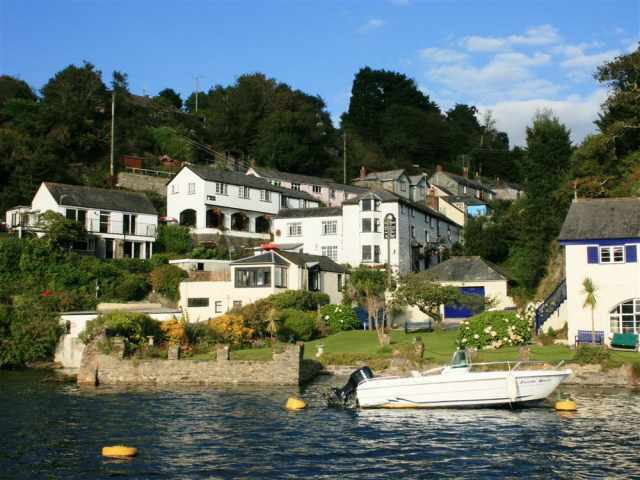 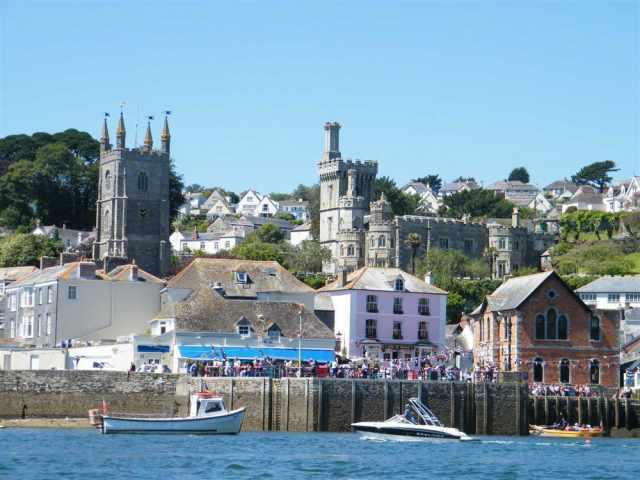 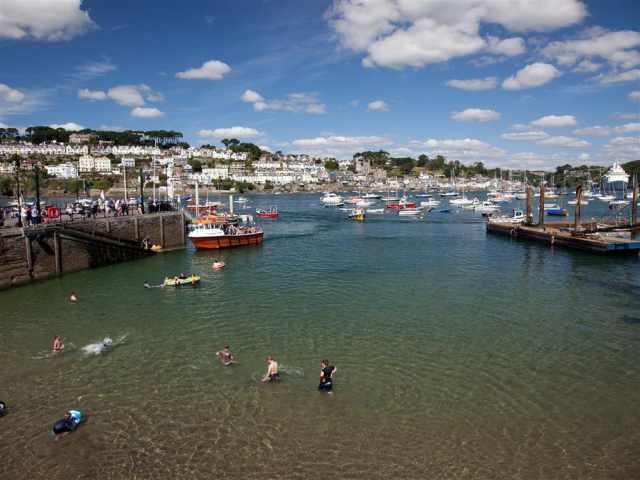 Fowey, with its rich variety of pubs, restaurants and cafes is 1.5 miles via the Bodinnick car / pedestrian ferry or half a mile down the creek by boat. 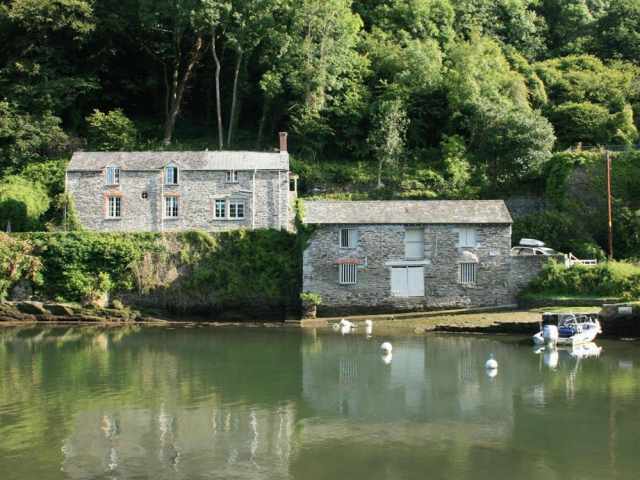 The main gate opens to the parking area and spacious boathouse equipped with table tennis table. 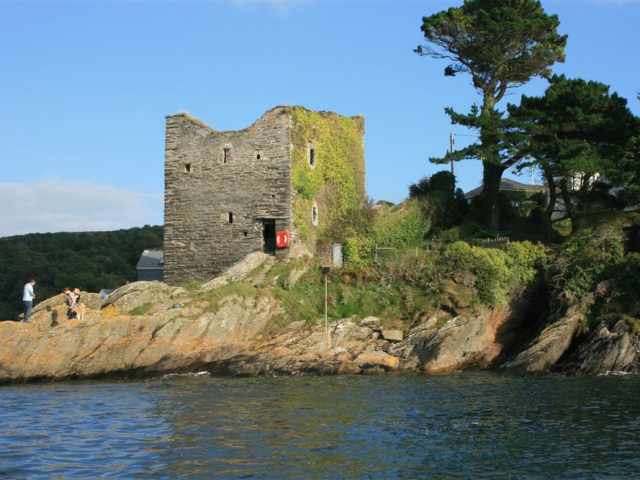 Beyond the boathouse, a short path and a few railed steps give access to the main house and a winding hillside path leading to an elevated garden / patio on top of the old limekiln, with commanding views of the quay and creek below. 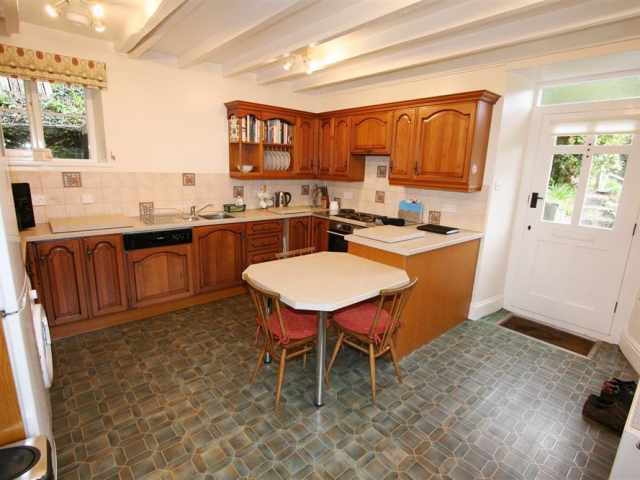 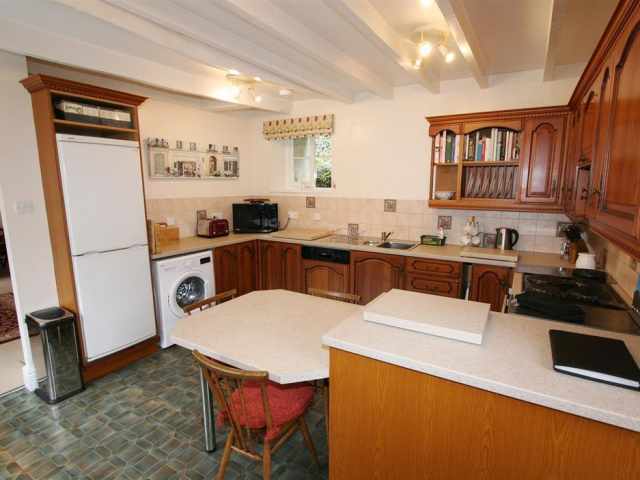 The front door opens into an attractive fitted kitchen. 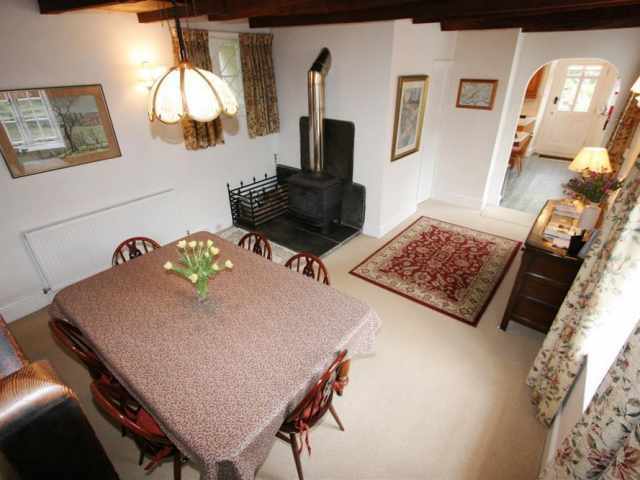 Beyond is the dining room which has stairs to the floor above, a wood burning stove and an adjacent cloakroom with hand basin and separate W.C. At the furthest end of the house, a comfortable sitting room has wonderful views down the creek from French windows. 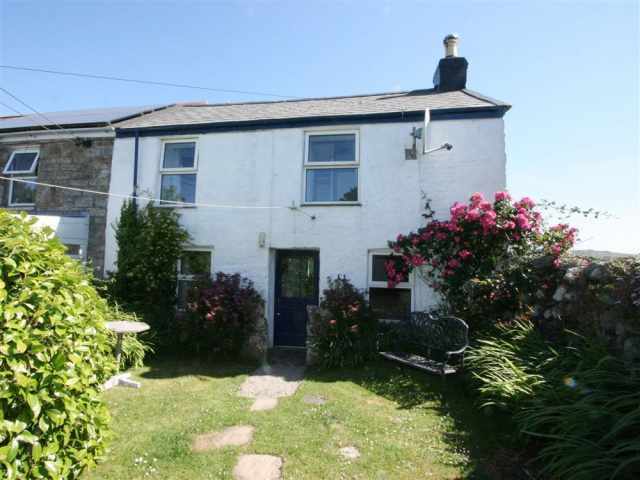 These windows open onto a timber decking providing a lovely sitting out area and a short flight of railed steps lead down to a slate paved patio area and a level, fenced and gated lawn. 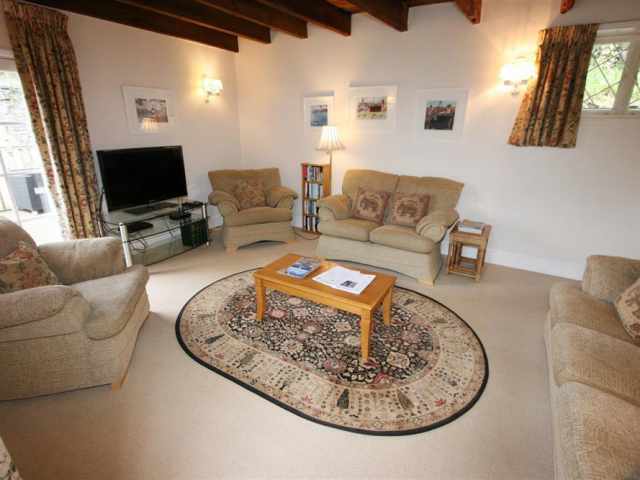 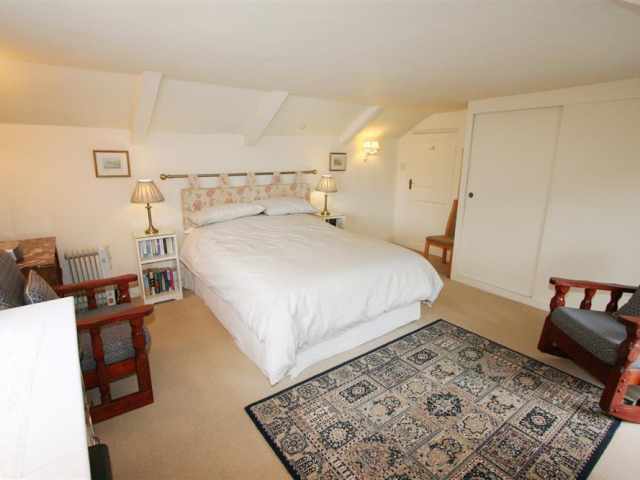 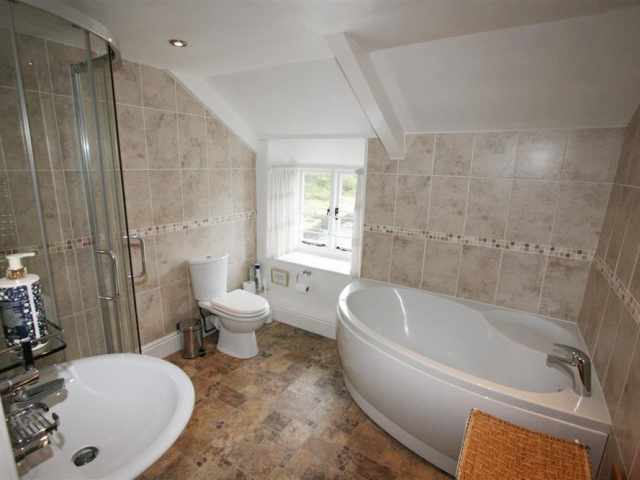 Upstairs, the landing links three bedrooms and a bathroom. 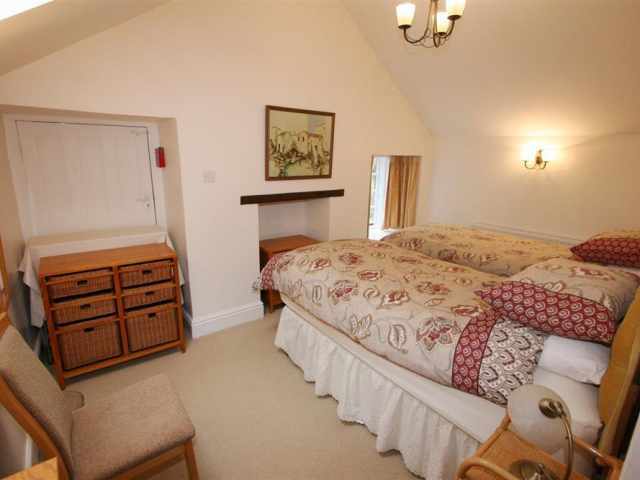 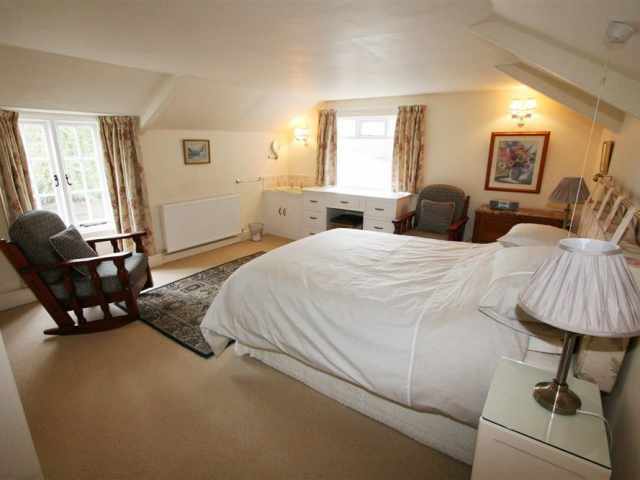 The master bedroom has a king size bed, wash basin and stunning creek views. 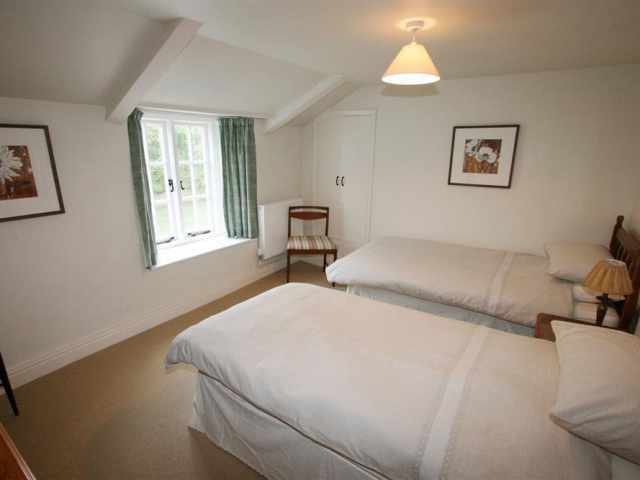 The other two bedrooms have twin divan beds, one with creek views. 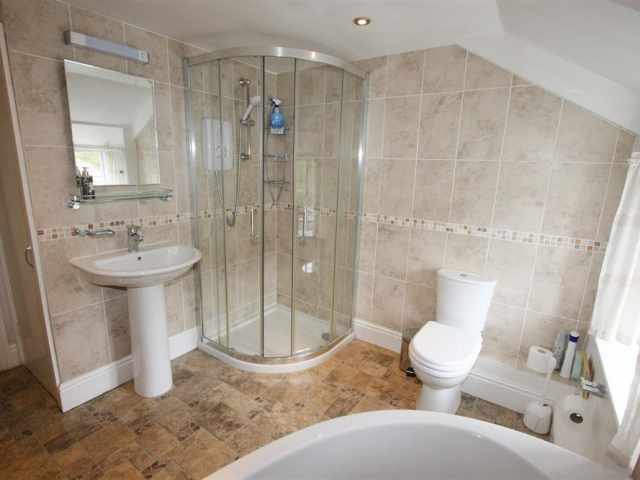 The bathroom is equipped with a bath, W.C., hand basin and separate shower cubicle. 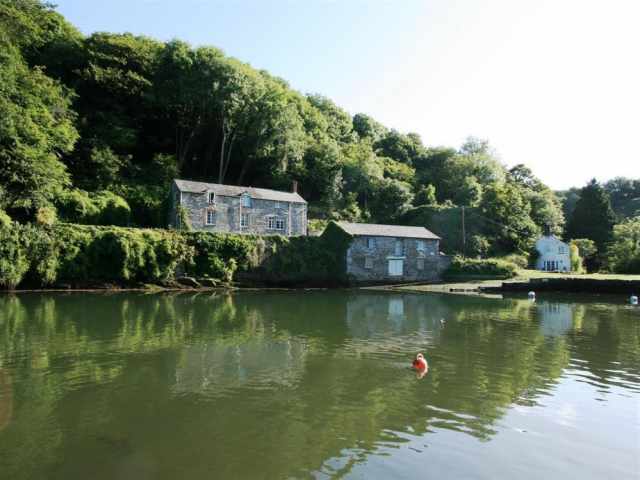 Guests from Pont House and Pont Quay Cottage may use this private quay, slipway and foreshore for their own and hire boats with the prior agreement of the owner. 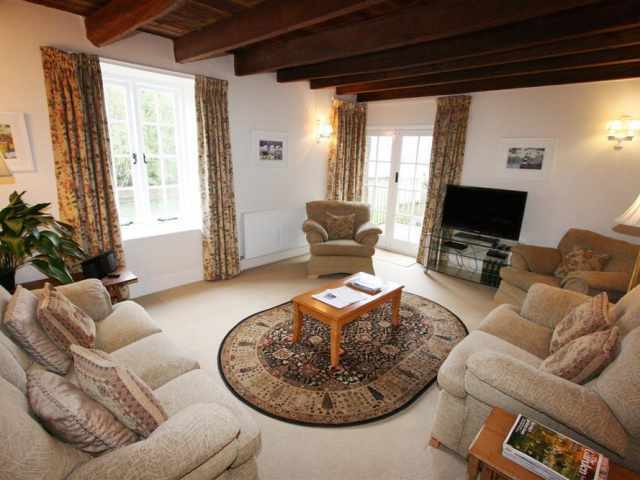 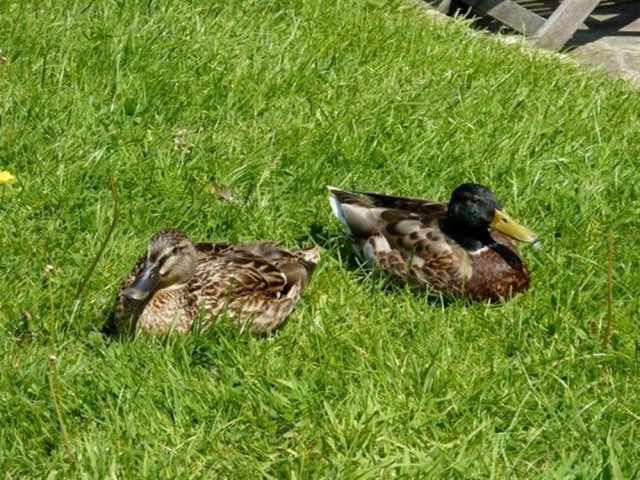 Pets are welcome at Pont but must be kept under control at all times to protect the abundant wildlife.